Stories and Structures: New Connections, is an exhibition presented by Microscopy Australia exploring the remarkable connection between traditional Aboriginal art, and the microscopic world. Join us, along with our special guests from Microscopy Australia, for a fantastic opening evening on Friday 8th February. With complimentary grazing platters, and bar facilities open for purchase, it’s a unique way to wind up the working week, and experience a remarkable exhibition! The exhibition will be on display from the 8th of February – 22nd of March at the Goldfields Arts Centre, Kalgoorlie. Please see the exhibition website and facebook event for more details. ・ visit our Stories and Structures exhibition in the Level 4 foyer (near the plenary auditoriums). Discover how Australian indigenous art’s rich visual language speaks to the hidden microscopic structures of the natural world in this unique exhibition, with live painting by Kurun Warun. His painting Dry River Bed features in the banner slideshow above. The Exchange of Experience (EoE) series is an international collaboration event for imaging infrastructure managers, directors, technical staff as well as scientists, decision makers and funders. 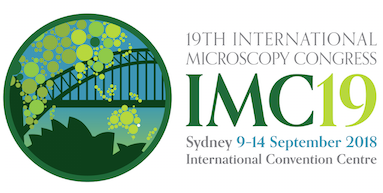 EoE III is presented in Sydney, Australia by GBI in association with Microscopy Australia (formerly AMMRF). This gathering from the continuously growing Global BioImaging (GBI) network will include representatives from Australia, Argentina, Canada, Europe, Japan, Mexico, Singapore, South Africa and the United States. The meeting on 14 September 2018 will focus on developing a long-term sustainable international linkage plan and setting targets the coming 2-3 years. On 15 September, international experts will present best practices in imaging facility management. Together we aim to develop an international recommendation for quality management in imaging facilities. Registrations for this event have now closed, but we invite you to watch and participate through a live stream and live chat messaging. You will be able to ask questions during the panels. AMMRF and ANFF are pleased to invite relevant and interested companies to support this exciting event. 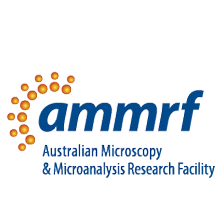 The AMMRF–ANFF Research Showcase will present a mix of high quality academic and industrial papers, which will provide attendees an insight into the innovative developments and trends in the field of micro and nanofabrication and characterisation. The showcase theme is Make and Measure, Celebrating 10 years of NCRIS and it will be held on 22 and 23 November 2017 at the Australian Institute for Nanoscale Science and Technology, Sydney Nanoscience Hub. Please register here. Platinum $7,500, Dinner $6,000, Gold $4,500, Silver $3,000, Bronze $2,000 and sponsorship $1,000 (plus GST). These will allow your company the opportunity to be promoted in the lead up-up to the event as well as receive multiple promotion opportunities during the Research Showcase. The Seventh International Conference on Nanomaterials by Severe Plastic Deformation (NanoSPD7) will be held in University of Sydney, Camperdown campus. The 8th International Nanomedicine Conference will be held at the Crowne Plaza Coogee Beach. The AMMRF is pleased to present this 3-day workshop at the Peppers Blue on Blue island resort. Attendees and speakers from around the world are invited to discuss cutting-edge science: atom probe tomography, materials applications, reconstruction and data analysis, and correlative atom probe microscopy. Registration and abstract deadline: Friday 21 April 2017. Register now! The AMMRF will sponsor the 7th International Nanomedicine Conference at the Crowne Plaza Coogee Beach. 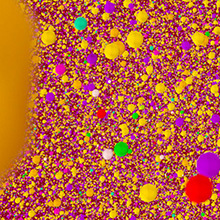 Learn the theory behind 3-dimensional ground state depletion (GSD3D) and stimulated emission depletion (STED3x) and how to prepare samples for the latest super resolution techniques. Registration information here. Learn more about MyScope and other AMMRF online tools, at our trade stand in the exhibition hall. Several AMMRF staff will also give talks at M&M. We were pleased bring our touring exhibition, Incredible Inner Space, to the Universities Australia conference. We also participated with an AMMRF trade stand. This international microscopy conference Focus on Microscopy (FOM2014) will be hosted at University of Sydney. It is the next in a series of unique interdisciplinary meetings on advanced multidimensional light microscopy and image processing. An exciting program of workshops, presentations and posters is planned. Abstract deadline January 14, 2014. For further details please visit the FOM website. Registration is open for the combined International Conference on Nanoscience & Nanotechnology 2014 and 23rd Australian Conference on Microscopy & Microanalysis. Register now on the conference website. 2nd International Conference on Materials Innovation in Surface Engineering. The theme of the meeting is the need to engineer surfaces for enhanced performance. This is applied to metallic and non-metallic materials with organic and inorganic coatings. The meeting will provide insight into innovative developments and trends in the industry. This AMMRF–EMBL Australia Masterclass equipped Australian researchers with skills in CLEM for life sciences and connect them to facilities where the techniques are openly accessible. 5th International Conference on Recrystallization and Grain Growth. The AMMRF is sponsoring a micrograph competition at this meeting. Bring a print of your best micrograph to display for a chance to win a cash prize. Save the date! The 12th Biennial Australian Microbeam Analysis Society Symposium will be held in Sydney, NSW, Australia at the University of Technology, Sydney, in Central Sydney. The aim of the Symposium is to provide a forum where participants can discuss microanalysis and imaging, with emphasis on practical solutions and applications.